Badger Data Ssystems has years of experience in servicing and designing business computer network systems that has been proven and battle tested while helping businesses both large and small build and maintain solid network and computer system foundations. Our motto is Excellence in Quality of Service. We understand that data and phone systems are critical to your business and we pledge to do what ever it takes to keep your business systems operational from design to implementation to support. 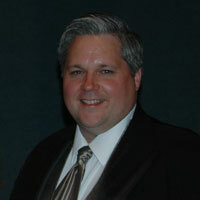 Paul Raflik is a 1987 graduate of UWSP earning a B.S. with a major in Computer Information Systems and minors in: Physics, Math and Microelectronics. His most recent position before founding Badger Data Systems was as the Director of Technology for Smithfield Beef Group in Green Bay Wisconsin. In that position Paul was responsible for building and maintaining a data infrastructure that spanned the country and connected operating facilities and over 1000 computers and staff. Prior to Smithfield, Paul was the owner of Integrity Technology Solutions, an independent computer consulting firm that was in business for five years. Paul has a twenty year track record of successful computer network systems design and support and has mentored and trained others throughout his career. Having lived in Atlanta, Milwaukee and Appleton, Paul has resided in Stevens Point since 2000 with his wife Ann and their six children.